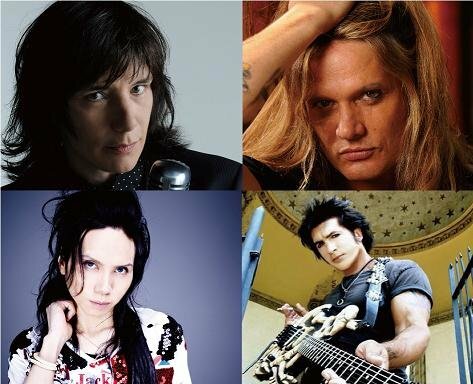 Showing that you don't have to be Japanese to appreciate the music, many famous overseas hard rock musicians have gotten together to make a tribute album to one of the most popular Japanese rock groups, SIAM SHADE.� The tribute album will be called "SIAM SHADE Tribute" and is due out on October 27th. The producer for the album is Marti Frederiksen, who is best known for his work with Ozzy Osbourne, Aerosmith, and Def Leppard.� He was looking to do something creative with Japanese bands when he discovered the now broken up band SIAM SHADE.� This tribute album will come out as a sort of 15th anniversary celebration for the band and involves many hard rock musicians who also wanted to celebrate the masterpieces of SIAM SHADE. 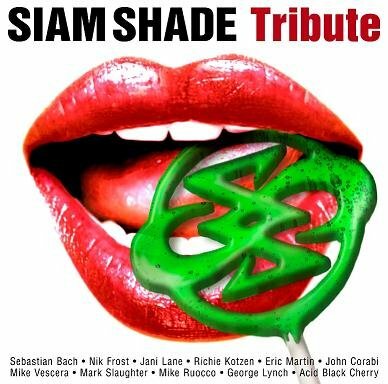 Participating artists include Sebastian Bach (SKID ROW), Eric Martin (MR.BIG), John Corabi (MOTLEY CRUE), Mike Vescera (LOUDNESS, YNGWIE MALMSTEEN), and �George Lynch (DOKKEN).� The album will cover many great hits from SIAM SHADE such as "1/3 no Junjou na Kanjou," "Kumori Nochi Hare," and "Dreams," all performed in the overseas artist's personal style.� As a special bonus, Japanese rock band Acid Black Cherry will be adding their cover of "1/3 no Junjou na Kanjou" for the album. To add a little something extra for SIAM SHADE fans to look forward to, there will be a new collection from the band coming out on the same day as the tribute album.� It will be called "SIAM SHADE XII ~The Best Live Collection~" and will be a compilation of their live concert moments. 03. 1/3 no Junjou na Kanjou / Jani Lane?ex. WARRANT? Doumoto Koichi to star in stage show "Shichinin no Samurai"